Euro is being corrected near local level of 78.6. Possibly, price may break this level during the next several hours. 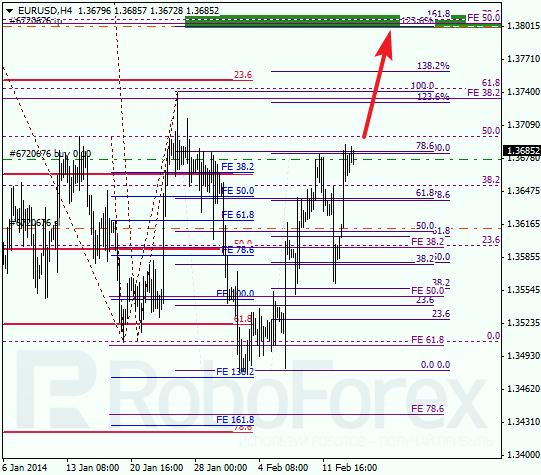 Main targets are still the same: upper fibo-levels near 1.3810. 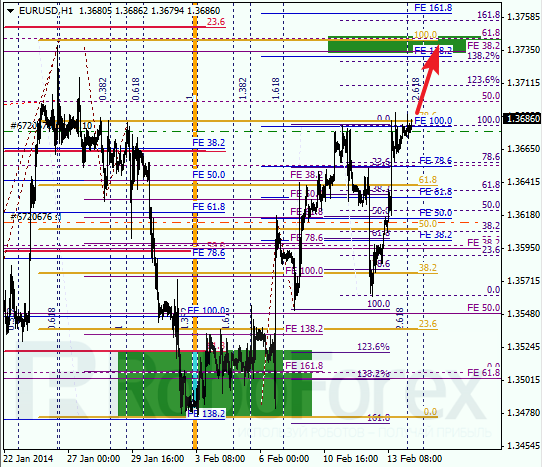 As we can see at H1 chart, market is moving close to latest maximums. Closest target is near several fibo-levels at 1.3740. After reaching it, pair may start new correction. Franc is falling down. Most likely, market will break minimum in the nearest future. 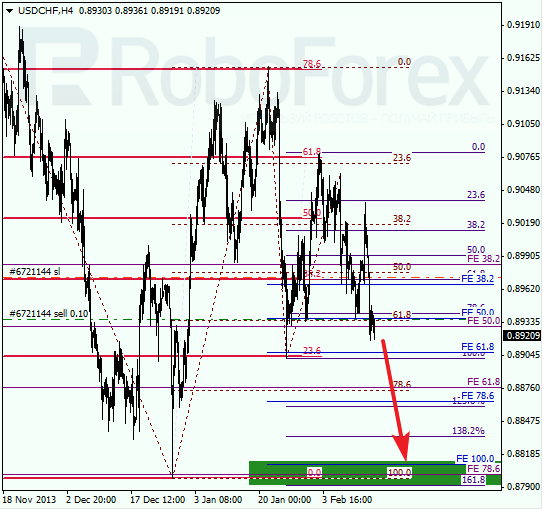 During the next several days, pair is expected to continue falling down towards several lower fibo-levels near 0.8800. 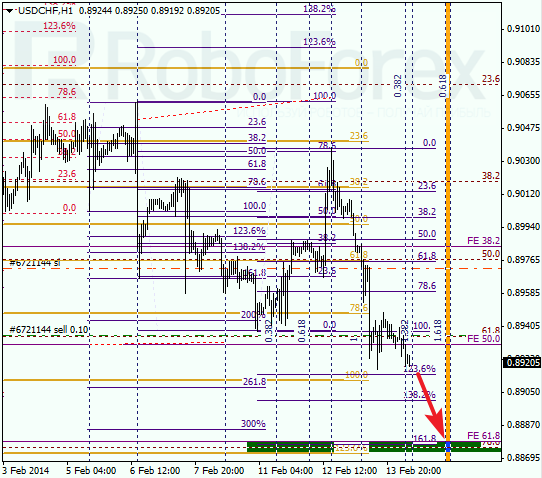 At H1 chart, we can see one of the closest intermediate targets, near level of 0.8875. According to analysis of temporary fibo-zones, price may reach this level during the day, in other words until the end of this trading week.